The 16th Annual Pharmaceutical Compliance Congress is scheduled for April 16-18, 2019 in Washington DC. 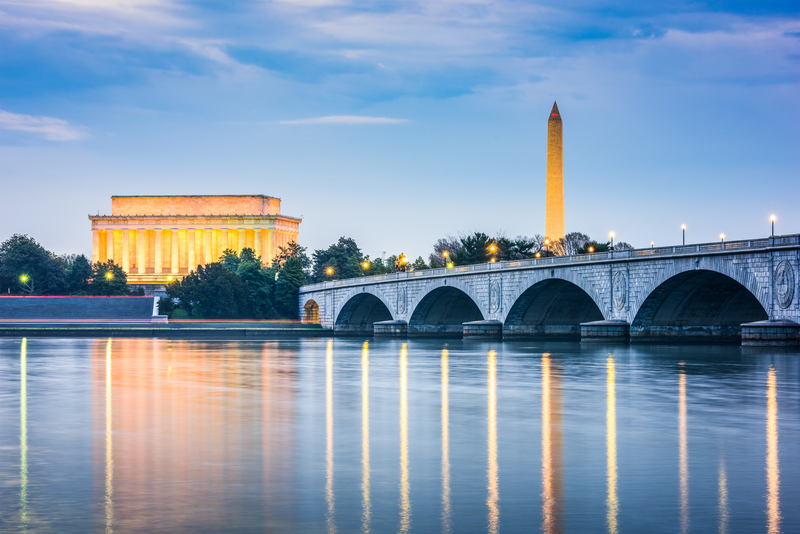 The 16th Annual Pharmaceutical Compliance Congress begins April 16-18 in Washington DC and as is often the case, the agenda promises a compelling mix of presentations covering topics important to new and experienced compliance professionals alike. On Day One, Wednesday, April 17th at 11:15 AM, the Highly-Acclaimed U.S. Healthcare Fraud and Enforcement Panel begins with current prosecutors reviewing “Top Enforcement Trends and Focal Points for 2019 and Beyond.” During the Former Prosecutors Panel that follows, three former Assistant US Attorneys will focus on “New Developments on High-Profile and Settlements Uncovering Healthcare Fraud.” The perspective from the regulator side of the table is not readily accessible outside of this type of conference and attendees will be listening carefully for suggestions and tips from those responsible for regulation. Following the networking lunch (important tip: the networking sessions offer great opportunities to learn from your peers), Day One continues with a series of “content streams” divided by general topic matter. Patient assistance programs (PAPs) and Patient support programs (PSPs) are certainly under scrutiny (see our recent blog post on the programs here), so we have to recommend Content Stream A: PAPs and PSPs. A team of panelists, including Jennifer McGee from Otsuka, Chetan Shankar from GSK, Francisco Ribeiro Filho of Tesaro and Ann-Marie Tejcek of Eli Lilly will speak in two sessions: Navigate the Complex Legal Landscape of PAPs and Examine PSP Enforcement Trends as Scrutiny Heats Up. Content Stream C: Transparency and Aggregate Spend is also of interest considering the pending expansion of the Sunshine Act to include Advance Practice Nurses and Physician Assistants. It’s time to update that Sunshine Act and Open Payments training! A series of interactive workshops follow the content streams and I’m looking forward to the Beyond Due Diligence – Auditing and Monitoring Third-Parties session, in particular. Third-party vendor compliance continues to be an area of focus in the industry and Lori Queisser of Teva should bring an important global perspective to the challenges of bringing vendors into compliance as they conduct business of the company’s behalf around the world. Speaking of hot topics – Interactive Workshop 4: Risks Associated with the Hub and Field Reimbursement Teams so I expect the impressive list of panelists, including Sarah Whipple from Akebia, Joe Philipose from Alexion, and Richard Konzelmann from Sanofi to be speaking to a crowded room of attendees anxious to hear how they are managing the compliance risks that are inextricably linked to the use of Hubs for specialty products. After a networking and refreshment break at 4:25 PM (don’t forget to stop by the PharmaCertify Booth to see demos of our newest compliance training products), the conference transitions to a series of “think tank sessions.” Frankly, I am not sure of the difference between a workshop and a think tank, but I suppose the changing up the name does make for a more organized agenda. Anyway, on the think tank front, the Speaker Programs – Best Practice Benchmarking is right at the top of my list. Our recently completed Managing Speaker Program Risk Compliance Foundations™ module is already popular among our client base and for good reason. The programs are fraught with risk at every stage, including planning and execution, and this session, featuring Jennifer McGee from Otsuka again, as well as Maggie Feltz of Purdue Pharma, and Rebecca Spitler of Johnson & Johnson, should prove to be a valuable primmer on how to navigate those risks. Add Social Media – Practical and Pragmatic Guidance to our target list among the think tanks because, well, it’s social media. We’ll also be in the PAP and PSP Benchmarking – How is the Industry Adapting? think tank to hear how Casey Horton and Stefanie Doebler from Navigant are working with their clients to help minimize program risk. Day 1 closes with an end-of-day cocktail reception and I do recommend taking the time to attend this important networking event before you run out to dinner. It’s a great opportunity to interact with your peers and learn how they are dealing with some of the same challenges you face every day. Following the Chairman’s Review of Day One, Day Two, Thursday, April 18th opens with an interesting session titled, From the Trenches: An Inside Look at the Forces and Pressures that Drive People to Violate the Law. The idea of approaching compliance from a higher “ethics” level has been a topic for discussion in recent years and companies are clearly seeking ways to integrate the concepts into their policies and procedures. I’ll be interested to hear how the speaker, who is the CEO of Business Ethics Advisors, LLC, how is working with clients to do just that. After a session dedicated to recent trends in enforcement, featuring Eric Rubenstein from the OIG and Heather Johnson from the FTC, the agenda takes a turn to the future with Rethinking the Compliance Profession – Where Should We Go from Here? Including such forward thinking presentations is appreciated and this look at the future of the industry should dovetail nicely from the opening session on ethics. Next, attendees choose from what are described as “five in-depth summits.” The Small to Mid-Sized Company Resource Center holds interest for me based on the uniqueness of its title, and simply because I find the small to mid-sized company focused sessions so informative from a standpoint of learning what those with limited resources are doing to address the same challenges their peers at larger companies face. With HCP interactions still representing so much of the compliance risk companies face, the Compliant Patient Interactions summit should be worthwhile, with an impressive array of industry professionals ideally sharing tips and suggestions for ensuring those interactions are conducted in a compliant manner. Hopefully, training is included on the list of talking points. Following the final networking luncheon, the conference closes with the reveal of an inaugural benchmarking survey. The agenda does not list what organization conducted the survey, but I’m sure attendees will be listening closely to learn what their peers from “brand/generic, large/small and private/public” companies consider to be their top priorities on the established and emerging compliance risk areas. The panel presentations, workshops, think tanks, and summits I touch on in this preview represent just a few of the sessions CBI has planned for this year’s conference. The Pharmaceutical Compliance Congress never fails to deliver the content and networking opportunities industry professionals need to stay abreast of current risk areas, policies, and best practices. I highly recommend the conference for the new and established life sciences compliance professional. If you are considering the conference but have yet to register, we are still offering discounts on the regular conference registration rate. Contact me at smurphy@nxlevelsolutions.com if you’d like to take advantage of that discount. If you are attending, don’t forget to stop by the PharmaCertify booth to say hi and let me know what you think of our blog. As always, your feedback is appreciated. Thanks for reading and I will see you in Washington! 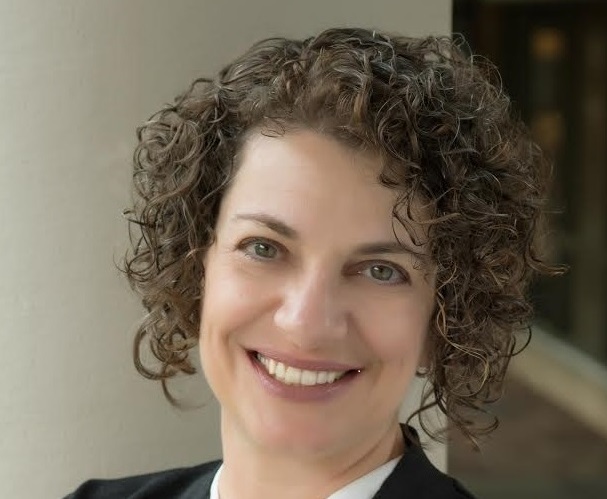 This week, we welcome Mona Kay Gorman to the Compliance Training Intelligence Blog. Mona Kay is the Director of Training & Leadership Development at Valeritas. She has extensive experience in the management of compliance training and communication programs, as well as the design and delivery of virtual and live compliance training courses. Has anyone ever asked you how to apply fair balance to a promotional discussion? In my experience, it’s one of the most challenging FDA standards of promotion to explain, train, and apply. Most industry professionals understand how to keep a conversation on-label, but the definition of fair balance is a bit vague, and appropriate use can be a hard concept to grasp. Through a few simple steps during training, and by making the effort to partner with the businesses, we demystify the concept and help promotional people effectively balance their messages. If you’ve ever attended a sales training workshop, you know that sales representatives are extensively trained on promotional messages to make their discussions sound confident and natural. Role-playing, or some type of repetitive practice, is understandably an important part of the training content. Fair balance can be practiced in the same way if the audience understands and can apply the concept. Some amount of hand-holding is helpful, so training design is important. For instance, if the content includes only broad, high-level examples of fair balance, trainees may struggle to apply the examples to their day-to-day discussions. As a result, fair balance messages are tacked onto the end of a promotional call, like a canned disclaimer. When training is customized using role-specific customer types and messages, the examples are more relevant, and trainees understand what a balanced message sounds like for their specific discussions. Armed with this understanding, they can practice balancing the promotional messages they typically use in their day-to-day customer conversations. Since collaboration drives shared ownership and desire for success, partnering with business stakeholders is critical. When designing your training, meet with leadership members of your intended audience to share your vision and ask them about typical customer types and discussions. Seek feedback on the draft content. Are the examples and scenarios relevant and easy to apply? Do business leaders feel confident providing feedback during coaching sessions? Make sure the sales training department is part of the conversation as well. Collaboration helps stimulate pull-through. Finally, make yourself available for questions, and keep your commercial partners informed of questions you receive during and after the training and the answers you provide to those questions. Doing so will drive communication and advocacy and establish you as a valued resource and partner. Effective fair balance training leads to confidence in execution. When training is optimized as described, sales representatives know how to balance their promotional discussions, the sales training department has more confidence pulling the concept through, and the stakeholders across the company support and even advocate one of the trickier promotional standards. When all of that occurs, organizational risk is reduced, and the compliance department is seen as a partner instead of just the “scary enforcer.” The extra time and resources spent developing relevant, customized fair balance training, and partnering with the business, is not only worthwhile, but necessary, to improve learning and ensure representatives are balancing their messaging appropriately. To download a printable version of this article, please visit the Insights page on the PharmaCertify website. Early morning over San Francisco, the site of the 2018 Compliance Congress West. To say the audience at the 19th Life Sciences Compliance Congress West was energized and engaged is an understatement. The size and scope of the two-day conference led to unusually interactive discussions, with the audience eagerly sharing their experiences along with the presenters and panelists. For someone relatively new to the field of life sciences compliance training, I found the exchange of ideas and advice quite educational and enlightening. 1. Build an ethical culture, not just a compliant one. This was a recurring theme, and it’s a compelling one. On the surface, the line between ethics and compliance may appear inconsequential and not significant enough to be worthy of consideration. But more companies are evolving away from a rules-based approach to compliance to one that stresses ethical decision making as the foundation for their principle-based policies. It begins with a question: are people doing the right thing when no one is looking? For us, the answer begins with a new approach to training. Modern life sciences companies need to teach the value of ethical decision making, and not just recite the rules and regulations. Training needs to instill in learners the understanding that the company trusts and expects them to do just that. 2. Hubs are in, so get that training out! Patient support hubs are trending, and since they serve as the “connection point” for so many stakeholders (patients, providers, and physicians), they come with a high level of risk. With the influence of commercialized companies, and the lack of guidance from the Office of Inspector General and Department of Justice, patient support hubs are a hot bed of kickback and false claims risks. Job aids, clear business rules and program guidance, and a robust training curriculum are necessary to mitigate that risk. All parties involved, including vendors, must be continuously trained on how to interact with patients and understand what they can or cannot say and do. 3. If you think PSPs and PAPs are in the regulatory spotlight, you’re right. The scrutiny on Patient Support Programs (PSPs) and Patient Assistance Programs (PAPs) is intensifying, with a growing number of settlements (Jazz Pharmaceuticals, United Therapeutics) raising questions over the idea of companies donating to independent charities. In addition to causing potential false claims and HIPAA violations, the donations raise concerns that they may be intended to induce patients to purchase certain products and implicate the Anti-Kickback Statute. As was highlighted during the conference, PSPs and PAPs can be beneficial to patients, but commercial organizations cannot have any influence on the support being provided. Training needs to emphasize that sales representatives are not permitted to discuss specific PAPs or disease state funds with patients or healthcare professionals. And as prescription costs climb, the scrutiny and risks will continue to grow. 4. Nurse Educators: Are they here to stay? What materials do the nurse educators use (disease state, promotional, fair, balanced, etc.)? Does the training focus on adherence and education instead of sales and marketing? Does the training resemble sales training (e.g., overcoming objections, cold calling)? 5. Speaker Programs: How is this still happening? There’s plenty of guidance available from the DOJ and OIG to assist ethics and compliance professionals with determining their training priorities. The OIG guidance alone offers 49 distinct metrics for communication, education, and training. It can be a bit overwhelming, so what’s a compliance officer to do? A presentation by Dan O’Connor of NXLevel and Jeremy Lutsky of Theravance offered attendees a practical framework for designing, developing, and implementing compliance training, beginning with the questions, “Is there a training need?” In other words, is there actually a knowledge and/or skill deficit or is there a problem with incentives, motivation, unclear expectations, etc.? Assuming there is a training need, ethics and compliance officers can use the long-established ADDIE (Analysis-Design-Development-Implementation-Evaluation) process to efficiently attack the problem, beginning with analyzing risk by role in the organization. Several pragmatic approaches were shared by Dan and Jeremy, including use of the “3F” Curriculum Framework, Bloom’s Taxonomy, and a structured process for evaluating existing training. 7. The food choices in San Francisco are, well, pretty good. 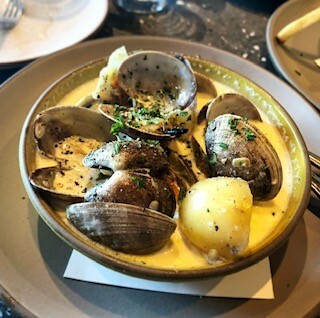 We couldn’t resist the chowder at the Hog Island Oyster Co. and we weren’t disappointed! The Hog Island Oyster Company is nestled in the Ferry Building Marketplace, where you can watch the ferries come and go as you enjoy freshly-shucked oysters on the half shell. Choose oysters from various locations or order a dozen or two to try them all! They all come with a fresh vinaigrette or cocktail sauce if you so desire. While their main stake is oysters, the rest of the menu is not neglected. The chowder comes stacked with clams in a nice cream base with veggies, potatoes, bacon and cheese! And the fish sliders are perfectly crispy paired with a tangy coleslaw that compliments the fish nicely. From the bar, the Chardonnay from Napa was crisp and light, and the Wolfback Ridge IPA was a perfect pairing for the fish sliders. The Douglas Room is a quaint restaurant located adjacent to the Tilden Hotel that offers a boutique gastropub vibe to transport diners to another time (think speakeasy era). The talented mixologists curate creative spins on classic martinis behind the bar to help authenticate the experience. For dinner or late-night snacks, the innovative menu features locally sourced and seasonal ingredients. We enjoyed the shishito peppers, duck confit wings, wedge salad, and Tilden burger. The portions were perfect for sharing, and the presentation was stunning. 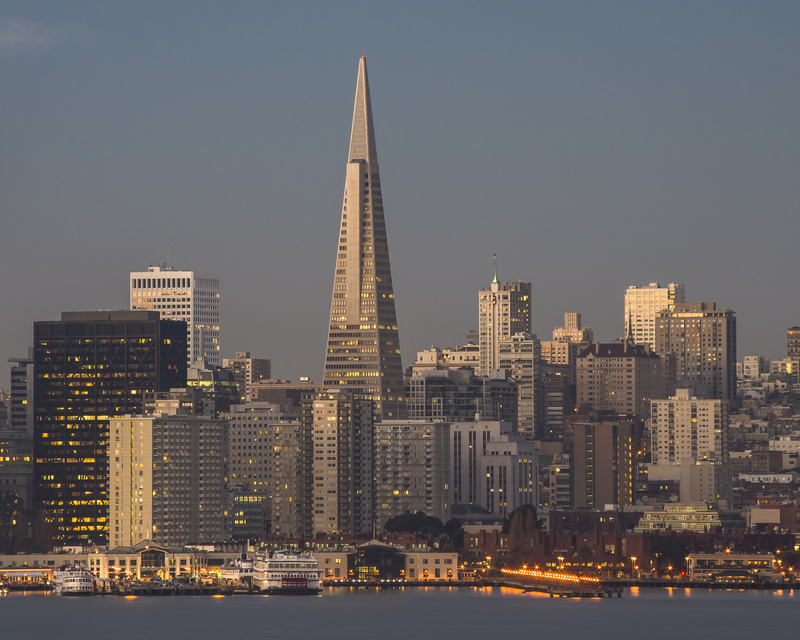 We’ll be back when the conference returns to San Francisco! A Look Ahead: The 2018 Pharmaceutical and Medical Device Compliance Congress! Look for the “elephant in the Exhibit Hall” at the Pharmaceutical and Medical Device Compliance Congress to see demos of our compliance training solutions! If you haven’t yet registered for the 19th Annual Pharmaceutical and Medical Device Compliance Congress, there is still time to save $600 on the registration fee with our sponsor discount offer. Contact me at smurphy@nxlevelsolutions.com to ask about the details. The conference kicks off Wednesday, November 7th at the Mandarin Oriental Hotel in Washington DC, and NXLevel’s PharmaCertify team will be there to catch up with friends and clients and showcase our newest compliance training products. If you’re attending, stop by Booth 108 in the Exhibit Hall (you can’t miss us, we’re right next to the food table and by the bar) to say hello and register for a chance to win an Echo Smart Speaker with Alexa! You will also see us listening attentively throughout the panel sessions and presentations for the latest compliance best practices and suggestions from what is always an impressive list of industry professionals and government representatives. In addition to the keynotes and plenary sessions, PCF has packed the agenda with 27 different mini summits attendees can choose to attend. With that in my mind, we’ve once again scoured the agenda and highlighted a few of the presentations we’re looking forward to in particular. Right out of the gate, PCF is offering attendees the choice of four compelling preconference sessions from 8:00 AM to 12:00 Noon. This Patient Support Programs session is offered as a “deep dive workshop” with timely talking points that include the most common manifestations or structures of Patient Support Programs (PAPs) and the best practices and approvals of the activities. A quick scan of recent corporate integrity agreements highlights the enforcement focus on PAPs, and kudos to PCF for wasting no time addressing it, with a panel that includes Nereyda Garcia from Alnylam Pharmaceuticals, and Nicole Serena from Bayer. Mary Riordan, Senior Counsel, Office of Counsel to the Inspector General for Office of Inspector General, returns for this highly-anticipated review of recent settlement actions and the OIG’s workplan for the upcoming year. From year to year, the presentation is considered one of the cornerstones of the conference as Ms. Riordan discusses the areas currently on the enforcement radar for her office. The conference agenda doesn’t provide any details in terms of what topics the CCOs will cover but based on the level of panelist expertise and the fact that it’s scheduled for one hour and fifteen minutes, the roundtable is sure to provide a bevy of useable, first-hand lessons and advice. Panelists include Jill Fallows-Macaluso from Novo Nordisk, Indrani Lall Franchini from Alexion, Jonathan Kellerman of Allergan, Puja Leekha of Lundbeck, and Lori Queisser of Teva. The networking reception is a rare, can’t miss opportunity to meet with your peers face-to-face and exchange tips and ideas for strengthening and growing your compliance program. And don’t forget to visit the vendors while you’re in there. They bring a range of innovation and expertise to the industry… and you don’t want to miss those cool giveaways! During the first half of Day 2, we hear from the government regulators, investigators, and prosecutors with three different sessions: the Assistant US Attorney Roundtable, FCPA Enforcement Update, and the Qui Tam Roundtable. In light of the recent FCPA case settlement by Stryker, this session should provide interesting insight into the enforcement trend surrounding the Act. Will more cases surface? Is there a renewed focus on the life sciences industry? With panelists from the FBO, the DOJ, and formerly with the SEC, the conversation should prove to be enlightening and educational. The first of seven 11:00 AM mini summits, this session captured my attention for its interesting title. The debate over a rules-based approach to compliance versus a values-based approach is not new to the life sciences industry. I will be curious to hear, particularly from a training perspective, how this panel fosters a culture that emphasizes empowerment to always “make the right decision” while still communicating the need to follow the rules and the laws. This dedicated medical device session features Jonathan Glazier from Philips North America, Marc Levine of Insightec, Laura O’Donnell from GE Healthcare, and David Ryan of Epizyme discussing the topics unique to the industry. The medical device industry faces some of the same compliance issues as their pharmaceutical brethren, but the nature of the products and business process (e.g., reimbursement) present unique challenges. I am anxious to hear how these presenters address risk and strengthen their compliance cultures while facing those challenges. Mini Summit VII: Compliance 3.0: Managing Promotional Programs, Relationships with Patient Advocacy Groups and New Entrants into the Marketplace. That title to this session is a mouthful, but it invokes a promise of a forward-thinking approach to the content. Expect this impressive panel, which includes Terra Buckley of Celgene, Michael Clark of Indivior, and Sujata Dayal of Johnson & Johnson to offer bold suggestions beyond the current thinking for the pressing topics listed in the title. Mini Summit X: Is Your Board of Directors Bored of Your Compliance Dashboards? Since employees who interact with healthcare professionals face a high level of compliance risk, I will be interested to hear how the panelists, including Pamela Lonzer from Alexion, Margaret Sparks from Sanofi, and Ravi Taylor of Ferring, balance the business need for representatives and others to engage with those HCPs, while instituting safeguards to ensure compliance with company policies and regulations. 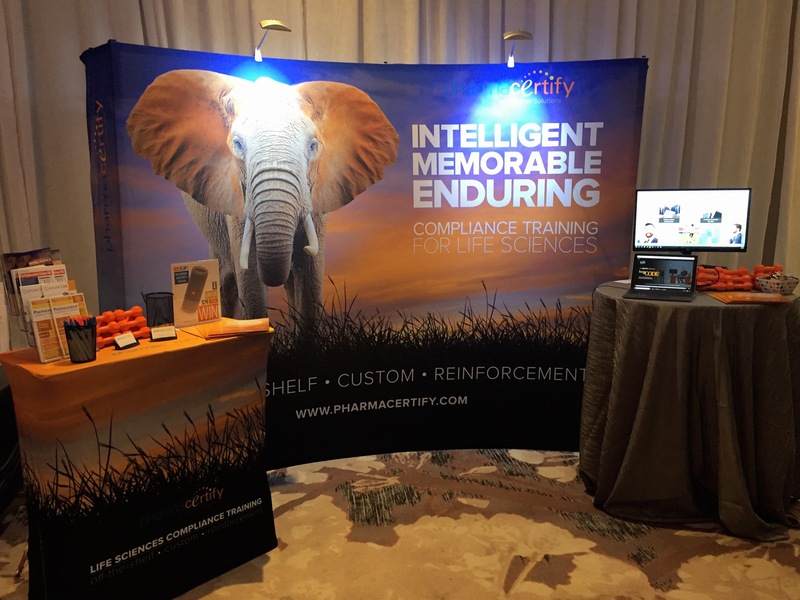 PharmaCertify had the opportunity to sponsor the 3rd Annual Life Science Compliance Training Conference back in June (you can read our key takeaways here), and I came away from that conference pleased that the industry is clearly developing more innovative training with the intent to optimize the learning and create lasting results. It’s been our focus since we started developing compliance training 12 years ago, and I look forward to hearing more about the techniques the panelists utilize to accomplish that same goal. Again, these are just a few of the many sessions PCF is offering at the 19th Annual Pharmaceutical and Medical Device Compliance Congress. We look forward to seeing you there and as always, I welcome your feedback on this preview and our blog in general. If you’re attending the conference, don’t forget to stop by the PharmaCertify booth (#108 in the Exhibit Hall) to say hello. Thanks for reading and we’ll see you in Washington! With government investigators rigorously examining Open Payments, and on the hunt for red flags, the need for effective tracking and reporting training is more important than ever. Here are ten tips to help you build and deploy transparency training that reduces risk across your organization. 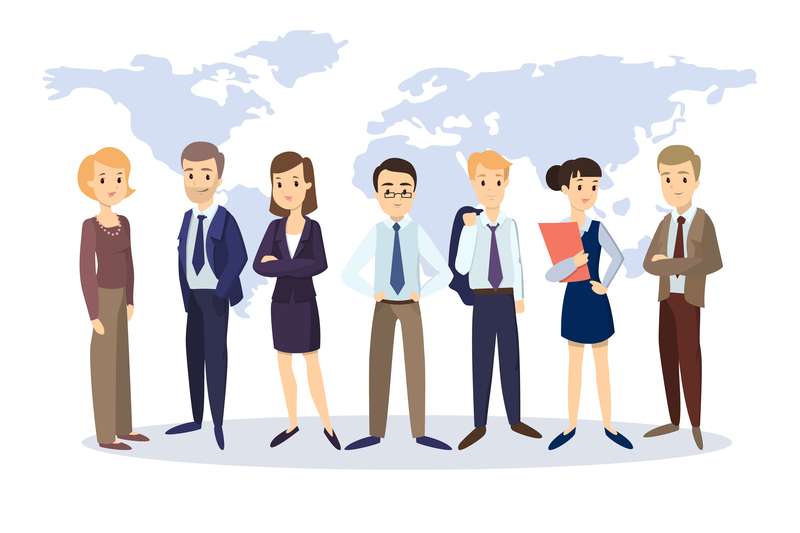 Make sure your employees understand that transparency covers multiple countries, not just the U.S. Global companies need to think beyond the Sunshine Act and include the relevant codes and laws from around the world. Don’t forget to incorporate requirements from codes like the EFPIA Disclosure Code and the Medicines Australia Code of Conduct, and regulations like Loi Bertrand (French Sunshine Act). Stress the importance of using legal names of healthcare professionals for reporting purposes. Even if an HCP is commonly known as Bob, his license probably reads as Robert. Only legal names should be used. Warn the learners about facility names as well. For example, Saint Joseph’s Hospital for Children might be commonly known as Saint Joe’s, but the full name needs to be used in the reports. When developing training, include resources for learners to use on an on-going basis. Infographics or quick reference materials are good options for learners to self-check information they may have forgotten after they completed the training. Emphasize that ALL HCP spend needs to be tracked. Spend reporting requirements vary from jurisdiction to jurisdiction. A cup of coffee may or may not be reportable, depending on the circumstances. Learners should understand that accuracy is important for HCP spend, regardless of amount or spend type. Don’t forget the T&E process. The details of the travel and expense system are critical. Make sure learners know how to properly record HCP spend in your company’s system. For example, some systems (e.g., Concur) differentiate between a “business guest” and an “HCP guest.” Attributing the spending to the correct category in the system is a time-saving step that helps ensure accurate data. Include examples of data entry errors. Some data entry errors are common, and so are the instructions for correcting them. Identify the common errors in your system and highlight them in the training so learners recognize them during the actual data entry process. Include a section on HCP interactions. Healthcare professionals are aware of the buzz around transparency and privacy. They’re bound to have questions. Instruct sales representatives on how to answer their questions and address their concerns. Review the rules on speaker programs. HCP consultants who serve as speakers on behalf of the company need to make the audience aware that they are being paid by the company. Also, sign-in sheets are necessary to accurately record attendance and account for every physician in attendance. Make it easy to report errors. Include information about the process learners should use, including contact information, when they find errors (misspellings, incorrect state license number, incorrect address, etc.) in the training. Make that information available as a resource they can use later. No matter the format (live, eLearning, WebEx, etc. ), make sure the need for accurate reporting is a recurring theme throughout the training. Take the time to identify and fully understand where errors typically occur in the process and build that information into the follow up training in the form of scenarios and stories. Long live accuracy…king of the content. The Compliance Foundations™ customizable eLearning module, Global Transparency: Reporting HCP and HCO Transfers of Value, helps learners understand the requirements of worldwide transparency laws and codes, and how those rules help foster open relationships with a company’s HCP customers. Contact me at smurphy@nxlevelsolutions.com if you’d like to see a content outline or course demo. After opening remarks from PharmaCertify’s own Dan O’Connor, who is chairing Day One, the conference begins with this compelling panel presentation. Recent enforcement headlines, and an increasing number of presentations by regulators at large compliance congresses, highlight the importance of training C-Suite executives in compliance. But what topics are most critical and what tools are most effective? I am anxious to hear what delivery and engagement tools the presenter’s company uses to help support and encourage a strong “tone from the top” as part of the effort to build a stronger compliance culture throughout the organization. Data is trending for good reason. The data gained through extensive auditing and monitoring is an important tool for evaluating whether compliance training methods and content need to be modified to better address organizational risks. This is a timely topic as life sciences companies continue to look to the data for answers on how to better target their training. A medical device perspective on compliance training is always welcome in compliance conferences. While dealing with some of the same challenges of their pharmaceutical counterparts, medical device professionals face unique challenges due to the nature of their HCP interactions and reimbursement arrangements. This session should provide helpful information for both sides of the life sciences fence, as common and industry-specific settlements are reviewed for training topic relevance. When evaluating a compliance conference agenda, my eyes are always drawn to the words, “case study.” Attendees are there to hear what techniques, programs, and tools work for their peers and case studies offer the best framework for doing so. With the phrase “continuous learning” in this session description, my interest is piqued even more by the potential for learning what tools and materials the presenter deploys on a regular basis to enhance learning and increase retention of key content. Industry professionals have been espousing the importance of a “culture of compliance” for about as long as compliance has been a focus for the life sciences. By contrast, a “culture of accountability” is a term I have not seen applied to the compliance space, and at first glance opens the door for exciting possibilities. This session promises “varied perspectives on how to build and engage staff in heightened levels of accountability,” and I am excited to hear what strategies the presenters utilize to encourage accountability across each of their three companies. As compliance training tools have advanced, on-going research into adult learning practices has led to the utilization of more effective development methods and delivery mechanisms to enhance learning. Based on the agenda description for this presentation, I will be curious to hear exactly how the Johnson & Johnson compliance team integrates modern methods like continuous learning into their curriculum to increase retention and maximize on-the-job application of the knowledge gained through the training. Compliance training curriculums are often developed with an understandable focus on internal stakeholders and with a lack of attention paid to the internal trainers – those responsible for delivering the training. Mona Kay Gorman brings extensive experience delivering engaging live compliance training, and hearing her suggestions for how to improve the skills of trainers so workshops and courses are more engaging and effective should prove valuable and worthwhile. Extending the topic data analysis to the second day, the description for this session promises a review of the data sources available to compliance teams, and how to use that data once its collected to conduct gap analysis studies, and identify trends and potential compliance risks. Data collection and analysis offers forward-thinking compliance training professionals a critical tool for identifying trends and potential risks, then using that information to target training and segmenting trainee groups more accurately. It’s an important and timely presentation. The agenda for the 3rd Annual Compliance Training Conference offers a great lineup of industry professionals sharing the latest in training best practices, suggestions, and tips. If you’re attending, stop by the PharmaCertify booth in between sessions to see demos of our newest compliance training solutions. If you can’t attend this year, watch for my blog post with conference highlights right here on the Compliance Training Insights Blog shortly after we return.